When I left Japan last year, I was given a farewell gift from someone. Inside this farewell gift was some amazing Japanese stationary. I hadn’t used it until recently due to all the stationary I have accumulated and just wanted to show you all what it is. It started the other night. 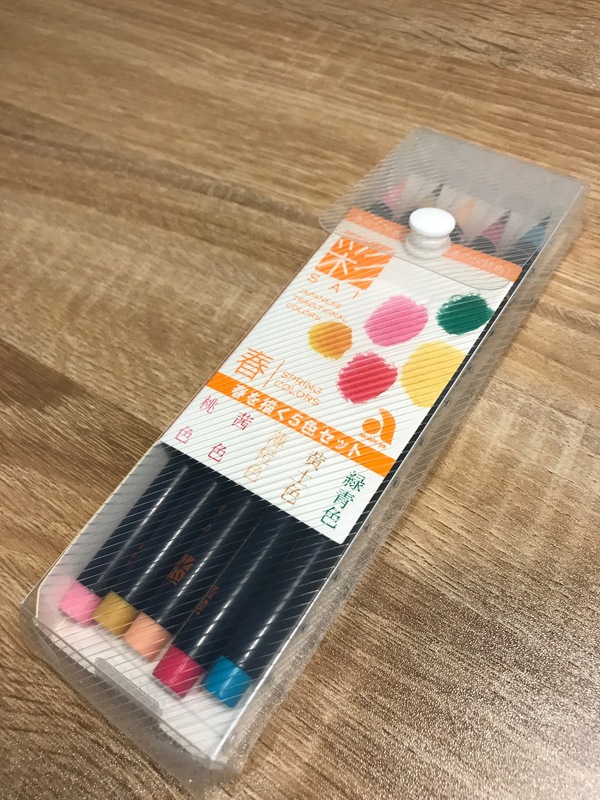 I found myself going through my things I brought back and stumbled upon these beautiful Japanese watercolour brush markers in spring colours by Sai. I am in no way an artist. Drawing anything more than a stick figure is beyond my skill set. But even though I know my drawings look like automatic writing, I decided to incorporate more drawings/sketches in my notes and these newly found old Japanese brush markers have made my chicken scratches look less crap more decent. Now while writing this entry, I was looking up the markers online and almost crapped myself when I came across this. A full set of the beauties! How much? Take my money. Take all my money. 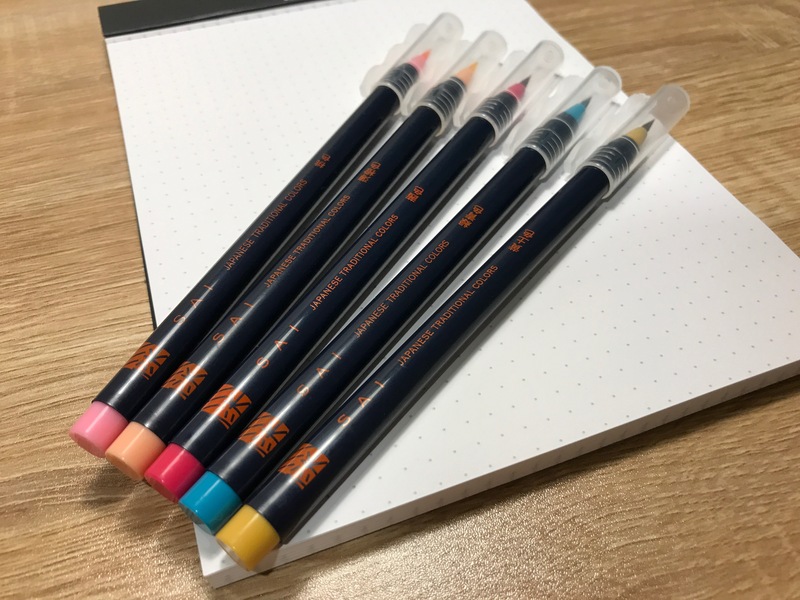 Unless you are a master calligrapher, the markers are hard to write with, but they do very well colouring and adding life to illustrations. 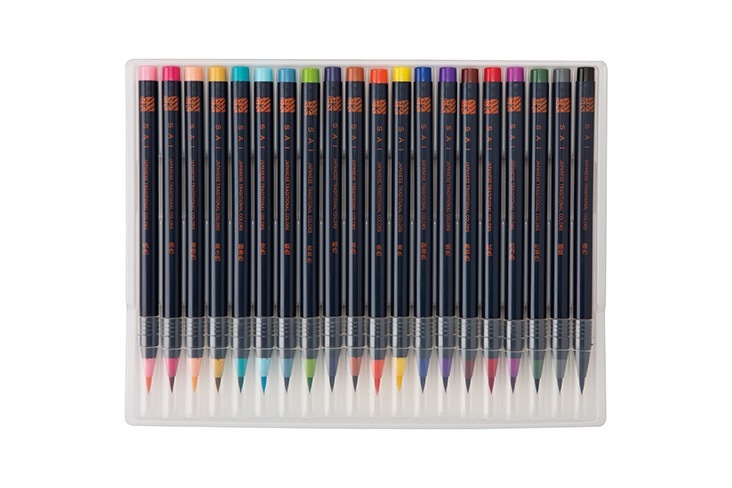 Actually, these markers have made me want to delve into the world of water colouring. I can see it now. 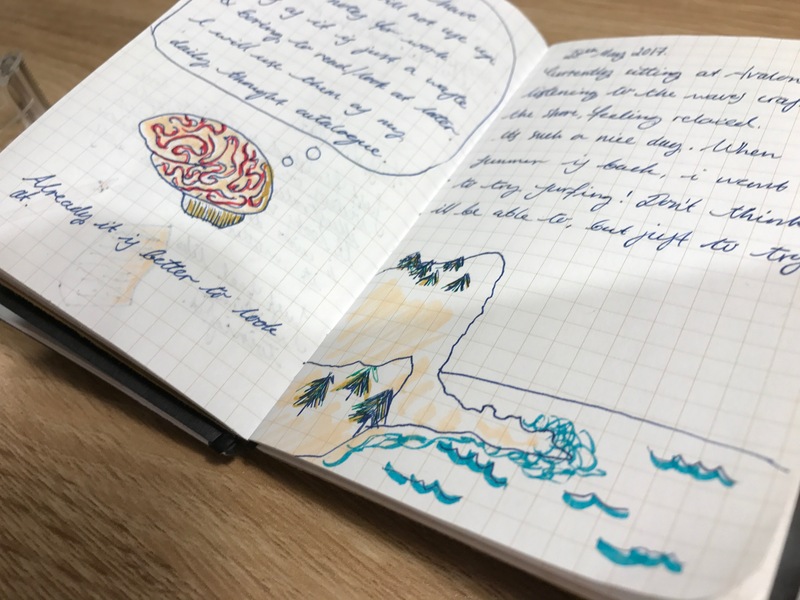 Title of my next post…backpack disaster; how I ruined my Moleskine and made expensive paper mâché at the same time.